We are sometimes asked about geometric tolerances. While Tolcap gives sound estimates of process capability for straightforward tolerances, this is because we have extensive series production data for the maps we publish. We don’t have such data for geometric tolerances such as flatness, roundness, etc., so we won’t compromise the Tolcap data base by publishing maps for them. What we don’t have is data on other factors, such as the ‘jump’ or jitter when the cutting tool (drill) meets the surface of the part. We have algorithms for generating maps from data of course, and this is a case where we would be delighted to work with our clients who could provide data to generate a positional tolerance map. * I said Tolcap might provide a solution for the studs: if the studs were cast or milled, then we could use Tolcap to find the capable tolerance for the outside dimension of the studs, for the inside dimension we could then find capable tolerances for the diameters and from these the positional tolerance for the centres. It depends on the manufacturing process. 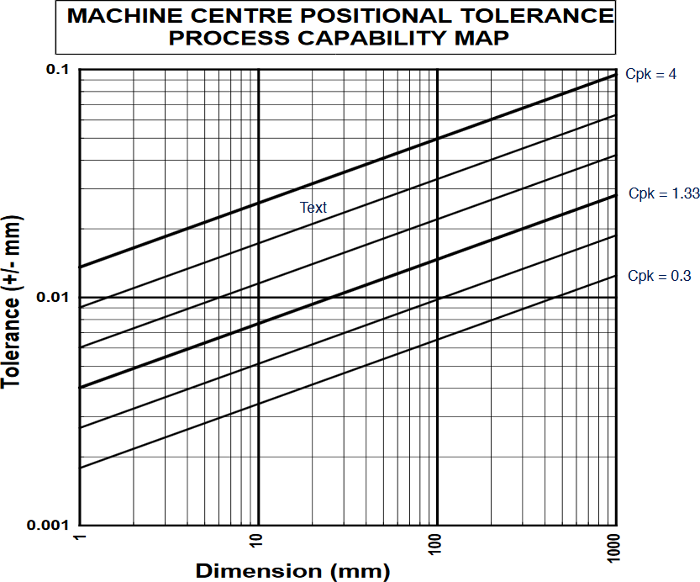 The problem area is the positional tolerance of the centres of the holes. Richard is a founding member of the Capra Technology team. Tips on using Tolcap efficiently. 10 Business reasons to use Tolcap. 10 Reasons to predict Cpk using Tolcap. Estimate Quality Costs - and fight false 'cost savings' ! Design for Manufacture - the design department’s biggest effect on company profits? Is your process not working, or not capable? Registered in England. Company Number: 4009835. VAT Number: GB873336802.